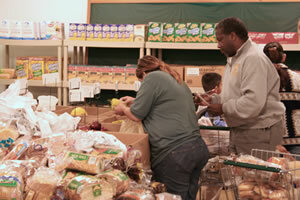 Our food bank is available to those needing food on Wednesdays from 5–7 p.m. at our church building. Come by before the food bank opens and reserve your place in line. We have lots of fresh fruits and vegetables as well as canned, frozen, and dry items. 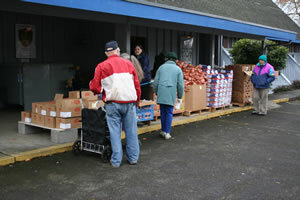 We have a produce day once a month on the first Friday of each month from 10–12 p.m. at our church building. 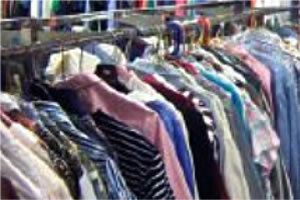 Our clothing bank is available on Wednesdays from 1–3pm. Come by church building and you can look through our collection of clothing and hopefully find something that will meet your needs. If you have excess produce from your garden or unwanted clothing and would like to donate it, please call Ted or Marjorie Burbee at 503-397-4389.